Plant wildflower seeds and help to #BringBackTheBees! 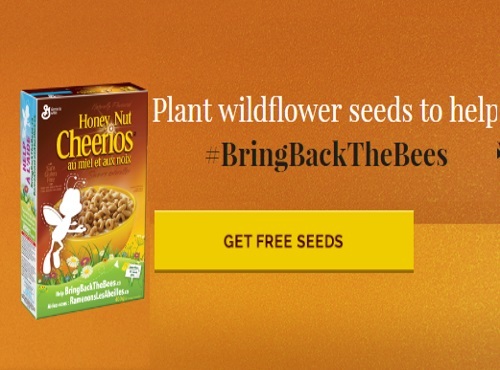 Honey Nut Cheerios is giving away over 100 million Veseys seeds to Canadians! You should receive the seeds in the mail in about 4-6 weeks. Happy planting! Click here to request your Free Wildflower Seeds.